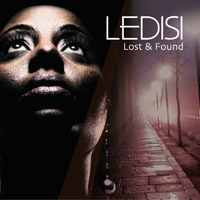 Norman the Nomad: Win a copy of Ledisi's "Lost & Found"
Here is your chance to win the astounding new album from Ledisi "Lost & Found". 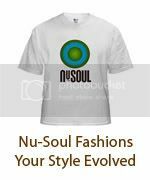 This collection of songs is set to take the soul community by storm! Three winners will be chosen! Good luck. From her name to her music to her mission to the circuitous path that brought her to legendary Verve Records for her third album, Lost and Found (in-stores August 28), Ledisi is a galvanizing, all-natural wonder. Wherever she goes, she wows and astounds. Three years in the making, the 16-track Lost and Found (for which Ledisi co-produced all of the songs with veterans Rex Rideout, Jamey Jaz and Mano Hanes, newcomer Lorenzo Johnson and longtime collaborator Sundra Manning) is the album destined to usher a deserving talent into some well-earned limelight. Overflowing with deeply touching songs of love and life, the CD cuts a swath through intimate snapshots of relationships that linger in the mind long after the last note has been sung. Emotions swing from the soulful swoon of falling in love with your "Best Friend" to a liberating acknowledgement that it's time for lovers to throw in the towel on the insanely hooky "I Tried" (featuring Errol Cooney on guitar - the chorus reads: "I tried, you tried / We tried…Time to move on!"). "In the Morning" flows like an old R&B LP a la Stevie Wonder or Barry White, expressing a woman's need for love after the lovin'. On the more contemporary side are "Joy" and "You & Me" that telegraph the bliss of being truly connected to someone. And the smoothly hip hop-spiced "Think of You" is so reverent that it really couldn't be about anything else but loving The Lord. The first single from Lost and Found is the moving "Alright," reassuring words of comfort, self love and survival that everyone can relate to. "'Alright' came from me just being tired from the ups and downs of my journey," Ledisi shares. "It came during a great low as well as a great high in my life. I was trying to stay positive and feel like, no matter what, things were gonna be alright. Before I signed with Verve, I was writing and recording songs with no idea where the money would be coming from to pay for all of it. It was tough."